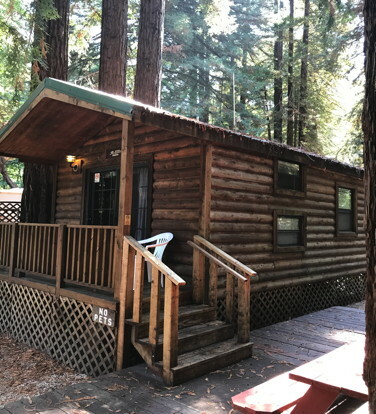 Nestled between the giant Redwoods, enjoy the awesome Mediterranean-like weather while sitting on your semi-secluded deck, with a great view into Henry Cowell Redwoods State Park. 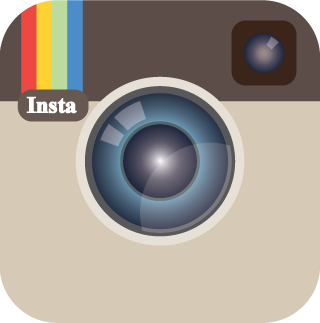 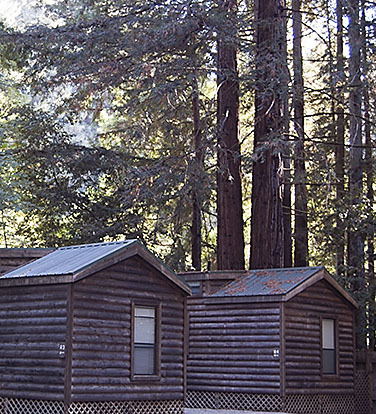 Our Bare-bones cabins include a bedroom with a full size bed, a bedroom with bunk beds, and a family room with futon and TV. 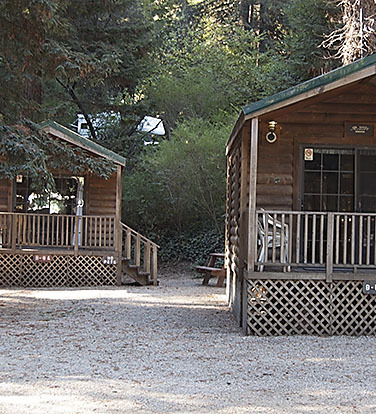 An economical way to enjoy a night in a cabin beneath the Redwoods of the Santa Cruz Mountains, these cabins are great options for those without RV or tent. 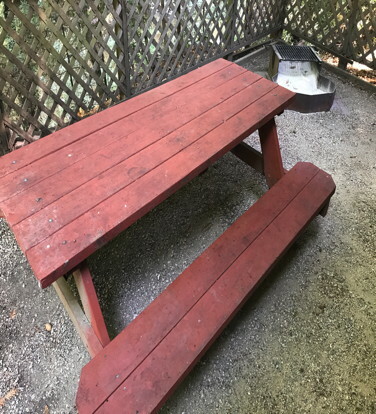 All of our cabins have an outside fire pit (with grill), a picnic table, and two chairs on the porch.